Financial queries answered: Better to borrow against gold than take loan? A. You can take a call after considering the cost of the Ulip after the lock-in period and the liquidity it offers. Some Ulips have lower charges in subsequent years. If the Ulip charges are higher later on, assess if it makes sense to re-invest elsewhere. In addition, keep in mind that liquidity is an important factor since you earn less. Check if the Ulip scheme offers you the flexibility to withdraw a part (or full) of your investment once the lock-in period is over. All of this is assuming that you have completed minimum premium payment tenure for the Ulip. A. Considering that you are nearing your retirement age, which is generally between ages 55-60 years, taking an education loan would be the better option. Spending from your savings just before your retirement age might have an impact on the funds available to you once you stop working. However, if you are concerned with reducing debt burden on your son, you can consider funding part of the cost of education from your own savings. In this case, the rate of interest on the education loan is an important factor in deciding the proportion of the cost of education that you will provide from your savings and the amount you will borrow. Also, as per taxation rules, payment of interest on an education loan will attract a tax benefit as per Section 80E. Hence, your son can also get a tax benefit on his education loan. Each of these have preset conditions to be fulfiled to facilitate withdrawal. If your need does not meet these conditions, you may have to opt for a personal loan. A. The interest rate charged on a gold loan is lower as compared with a personal loan. The interest rate is a percentage of the market value of the gold you're using to avail the loan. 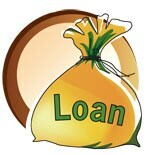 While it varies in a particular range, it is still cheaper as compared with a personal loan. Even the lender or your banker would be more comfortable lending against a security (gold), which is not the case for a personal loan. Even the disbursal of a gold loan is quicker than a personal loan. Although banks do charge a nominal processing fee, the process is easier and less expensive. A. As per the Income Tax Act, transfer of shares to a spouse is not considered a gift. If your wife sells the shares, any short-term capital gain must be declared along with your income. It will be also be taxed as per your income tax slab. This is because the transfer of shares did not happen for 'a consideration', meaning you were not paid anything in return. If, on the other hand, she plans to hold the stock, any long-term capital gain on it will not be taxable (provided it is sold in the market and Securities Transaction Tax is paid). Do note that since there is a provision for 'clubbing of spousal income', the transfer will not be a means of saving tax on the stock. A. Based on the duration of your investment, you have the option of debt fund categories such as ultra short-term, short-term, income, GILT, and so on. The risks involved in investing in debt funds, especially for the long term, are the credit quality of the papers the fund invests in, interest rate fluctuations, liquidity in the economy and the yield-tomaturity on the securities held by the fund. If you wish to invest for a short duration, consider investing in a liquid fund. These are relatively insulated from interest rate fluctuations. You can also choose a fixed maturity plan, which is the closest to a bank deposit. There will be no interest rate risk if you hold till maturity. 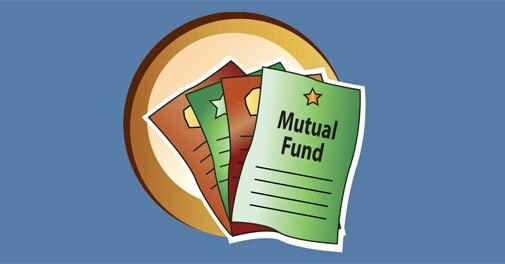 Debt mutual funds are especially useful for investors in higher tax brackets. It is most beneficial when you hold for over a year and the return is considered long-term capital gain for taxation. A. As per Section 122 of the Transfer of Property Act, 1882, a gift is defined as the transfer of 'moveable or immovable property made voluntarily and without consideration'. An offer and acceptance between the parties is required. Hence, if it is not a sale, then a gift deed must be executed. It is also safer for your father to execute a gift deed and register it as such. This would protect against any potential claims to the property. A. Tax deduction available on repayment of home loan principal is up to Rs 1 lakh (per Section 80 C) in 2013-14, provided you have possession of the house. Deductions on interest is available as per Section 24 (up to Rs 1.5 lakh) for a house occupied by you and as per Section 80EE (up to Rs 1 lakh). Deduction as per 80 EE is available if, the loan is sanctioned in 2013-14, the amount does not exceed Rs 25 lakh, the cost of house and property does not exceed Rs 40 lakh and you don't own a property when the loan is sanctioned. A. Since the shares are of the Indian company, transfer of this equity would be taxable as assets being held in India even though you are a non-resident Indian. Therefore, when you sell these stock options, capital-gains tax would be payable in India based on how long you hold the stocks and whether it is listed in India. A. Short-term capital loss can be adjusted against long-term capital gain. There are two possible situations: One, the shares are not listed in India and Securities Transaction Tax (STT) is not paid. Here, long-term capital gains is not exempt from tax. Hence, short-term capital loss can be adjusted against long-term capital gain. The remaining loss, if any, is carried forward. If long-term capital gains is more than the loss, it will be taxable at 20%. Two, shares are listed and STT is paid. Since, long-term capital gain is exempt, shortterm capital loss cannot be adjusted against it and will be carried forward. Where income is exempt from tax, loss from the same source of income cannot be adjusted in your taxable income. A. If the Income Tax Department has not acknowledged receiving your ITR V or there is a chance it could not be processed, then return is considered to be not filed. You have to file it again under Section 148 and re-submit ITR V at the earliest. A. In this case, let's assume that the total expenses of Rs 7 lakh has been incurred for purpose of running your consultancy business and that this is including depreciation on assets, if any. If depreciation is not added, please consider doing so. The profit from your consultancy is Rs 3 lakh (Rs 10 lakh -Rs 7 Lakh). Deductions under chapter VI A, ie as per Sections 80 C, 80 D, 80 E, 80EE, will be allowed on profit. The balance income will be your taxable income. In your case, income falls under the 10% tax slab. Anil Rego, Chief Executive Officer, Right Horizons, has tackled financial planning issues; and Sudhir Kaushik, Co-founder and CFO, Taxspanner.com, has provided tax solutions.